This time we focused on Xfer’s beast Serum synth to create 60 atmospheric and highly expressive presets including haunting pads, evolving synth textures, cinematic booming percussions, submersive atmospheres and evolutive sounds all genuinely designed to add some serious depth and width to your compositions. Whether it’s for filmscore, soundtrack, cinematics, ambient, chill out music or any other electronic sub genre, these precision-designed presets full of emotion and modulation can be used in a wide range of musical styles: They will bring you a whole new range of possibilities, from delicate and dark ominous background textures to bright shimmering sweeps and drones or cinematic sound beds. Check out the demo, no additional effects, no extra samples have been used, It’s all straight out Serum with this pack, a piano and a few automation editing: What you hear is what you’ll get ! 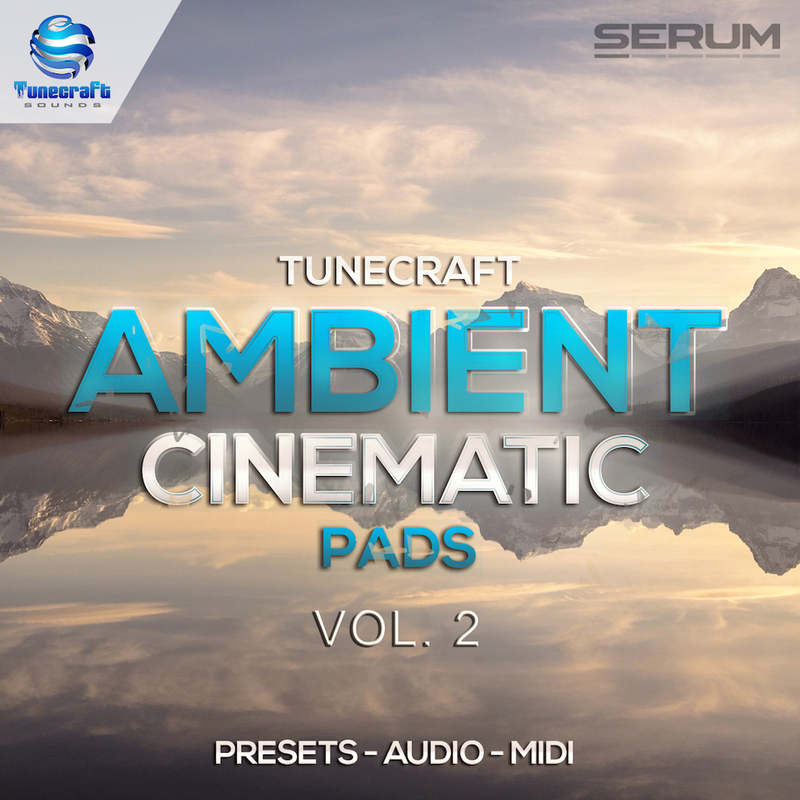 You can also expect to find 9 tempo and key labelled construction kits taken from the demo and broken down into separated audio stems created with Serum that you can use freely. Finally we included 100 royalty free preset labelled midi files to get you started or if you want to recreate and rearrange one of the tunes to your taste. So whether you’re new to Serum or an experienced user, check it out and see how these sounds will expand your sonic palette and effortlessly inspire you !